Moments and Milestones of a hard working Mom! 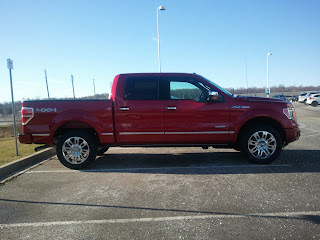 Here is the beautiful truck that the wonderful people at Ford Canada let us drive to Florida. What a fantastic vehicle to drive for hours in. It has so many bells and whistles....so many that I can't wait to show you pictures and tell you all about them in the next few posts.